Co-founded by 17 professionals from university, finance, consulting, etc. The China-Britain Artificial Intelligence Association (CBAIA) was initiated by the a group of Chinese nationals living in London, who are interested in the development of Artificial intelligence by utilising the resource and innovations being made in both countries. We have an executive team of 17 members from different industrial backgrounds and research areas (including manufacturing, financial, medical and consultancy services and more). 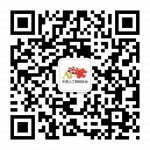 China-Britain Artificial Intelligence Association (CBAIA) is a not-for-profit organization, with the aim of establishing a platform and a community where UK-based Chinese Artificial Intelligence professionals and researchers can share industrial and academic resources and knowledge. The association also exists to provide mentoring opportunities for professionals and students who have aspirations to join the artificial intelligence industry. With its strong network connection and the support from artificial intelligence individuals, the CBAIA has attracted many experienced and well-connected artificial intelligence professionals to its executive committee (please visit ‘Executive Committee’). We look forward to reaching out to more and more artificial intelligence professionals and academic researchers to help grow the association. · Mentor junior professionals and students interested in the artificial intelligence industry.